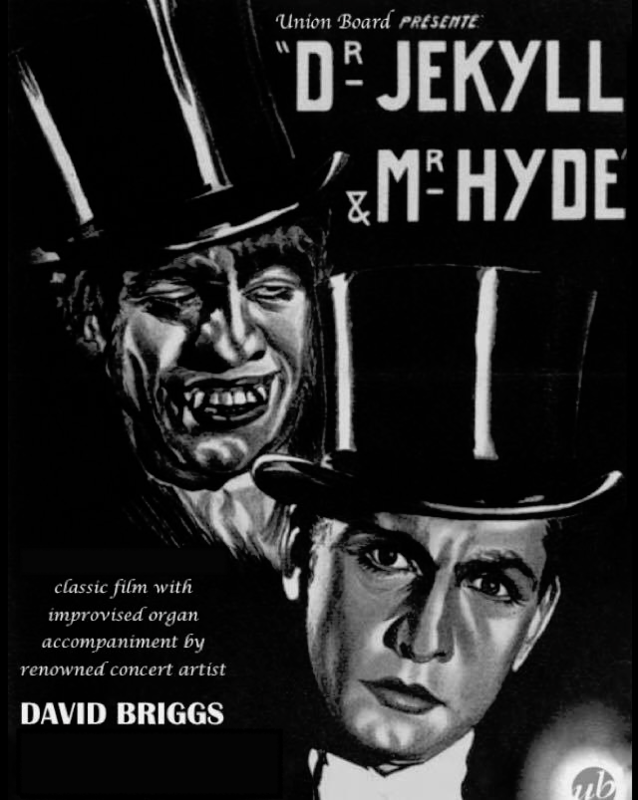 Internationally renowned organist David Briggs brings a spine-chilling late night screening of the classic gothic horror Dr Jekyll and Mr Hyde to Rugby with live organ improvised accompaniment. Prepare to be spooked in this atmospheric setting of Rugby School's famous Chapel. David Briggs is an internationally renowned organist whose performances are acclaimed for their musicality, virtuosity, and ability to excite and engage audiences of all ages. Master of an extensive repertoire spanning five centuries, he is known across the globe for his brilliant organ transcriptions of symphonic music by composers such as Mahler, Schubert, Tchaikovsky, Elgar, Bruckner, Ravel, and Bach. Fascinated by the art of Improvisation since a child, David also frequently performs improvisations to silent films such as Phantom of the Opera, Hunchback of Notre-Dame, Nosferatu, Jeanne d’Arc, Metropolis, as well as a variety of Charlie Chaplin films.